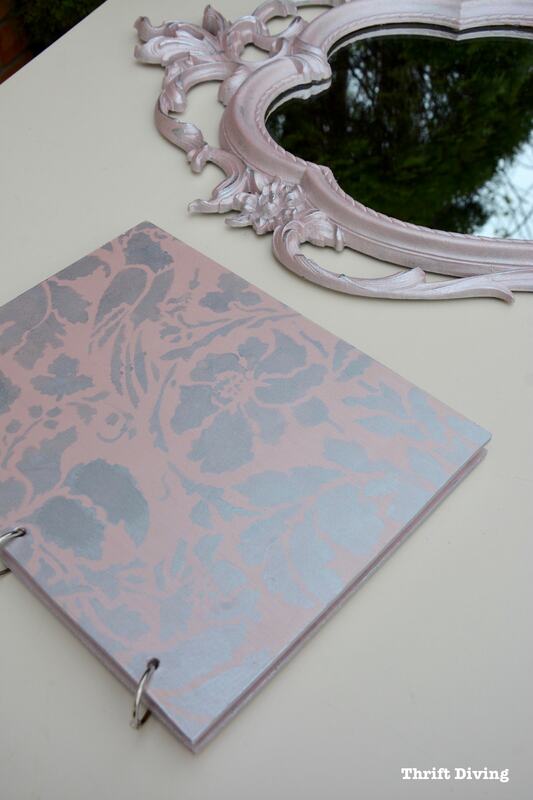 This DIY painted mirror and DIY wooden notebook crafts are brought to you by BeyondPaint.com, but all opinions are my own. This week it felt so good to finally do a project (well, actually two projects!) that didn’t involve hours of planning and stressful ripping out of my hair. HA! I’ve been doing a lot of traveling lately, too, so it felt nice to have simple projects that can get done in about 1 hour or so. 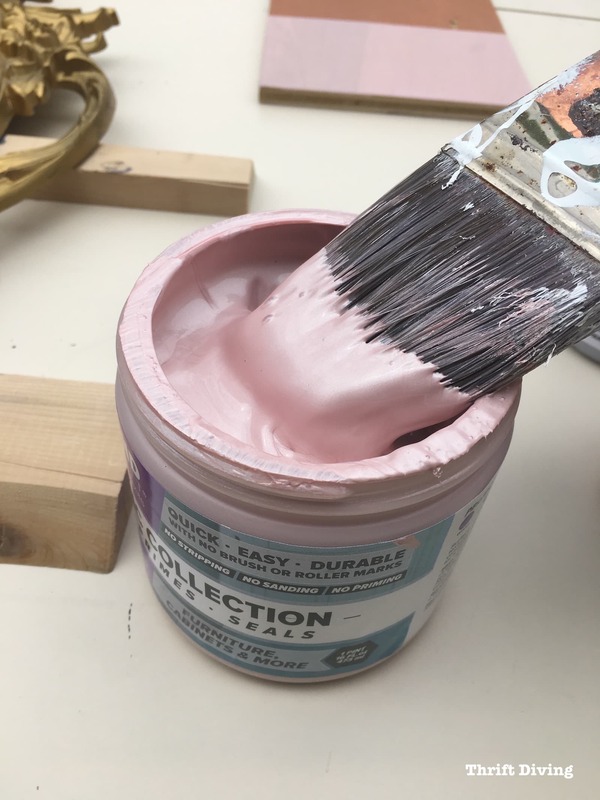 I’ve been working with Beyond Paint for several years now, using their paint in various furniture makeover projects, and I’ve come to love it because it’s got what I call “spreadability.” I find it to be one of the easiest and quickest paints to use. 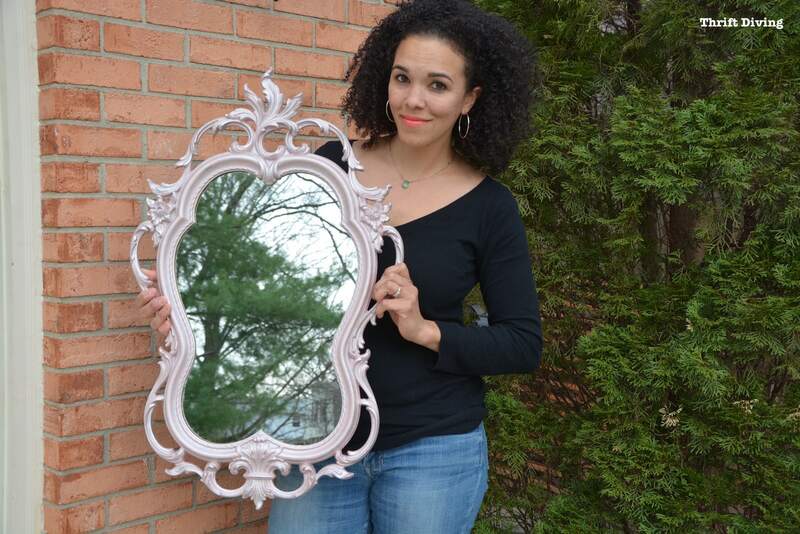 I had this really cute mirror in my garage for about 2 years now. I found it at the thrift store but didn’t know where to put it or what color I really wanted to paint it. 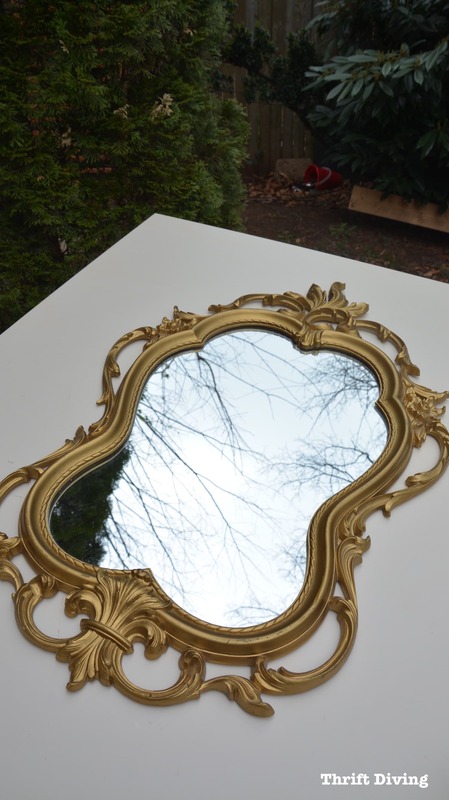 Black was too harsh for such a pretty mirror. And I don’t do a lot of POPS of color, so I didn’t want that. 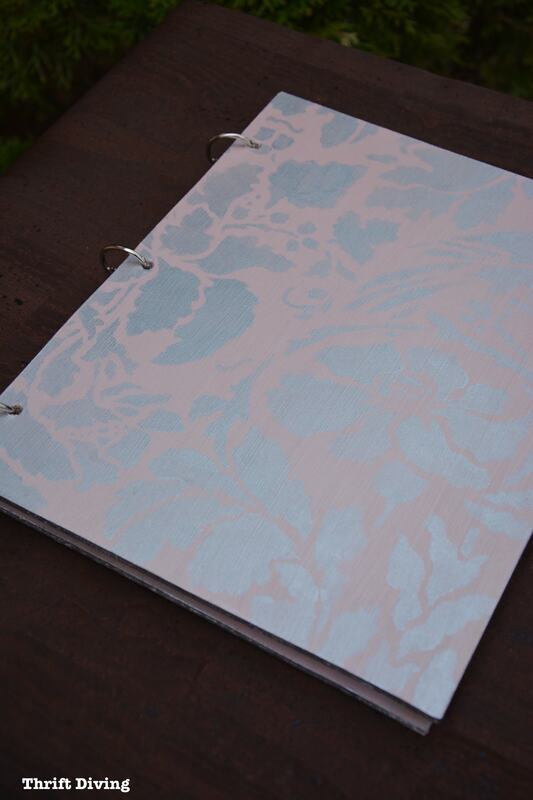 My first thought was that I wanted to layer the paints and see how the Rose Gold would look with the Metallic Silver. 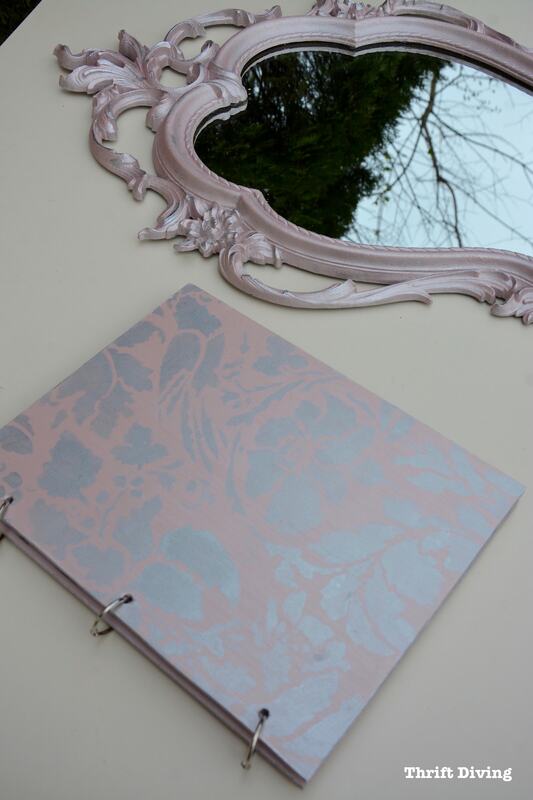 So I decided to paint not only the mirror but I cut out a DIY wooden notebook (you can find the complete tutorial here) to see how it would look with a pretty stencil combination of the two colors. Normally, the Beyond Paints come in quart containers. But these ones are smaller half-sizes. 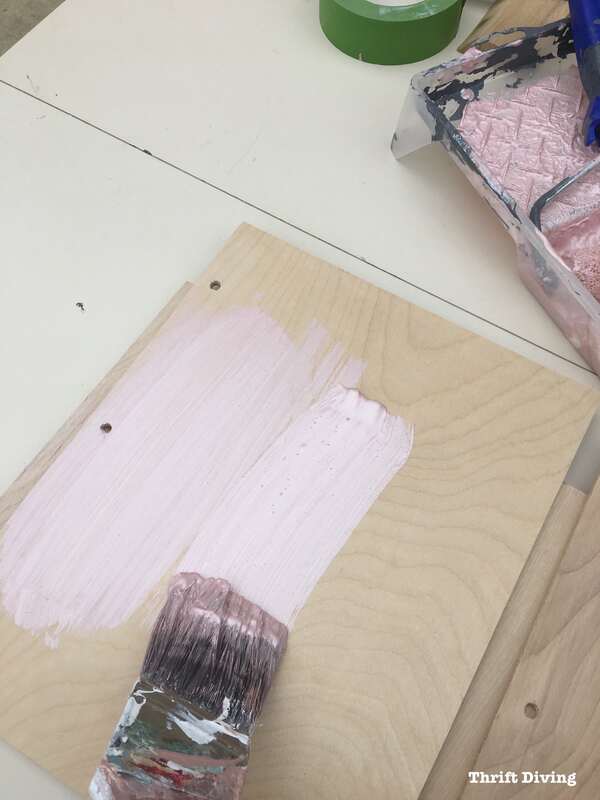 You would have enough paint to do small pieces of furniture, like nightstands. But you’d need two containers to do larger pieces of furniture. Their small container size, though, makes them perfect for these types of crafts and smaller projects, too. Jigsaw and power drill with drilling bit for the notebook holes. Binder rings to hold wooden notebook together. Beyond Paint sticks to virtually anything, including wood, metal, previously painted surfaces, masonry, and you can even use it outside. But before you can use it on any of these surfaces, you should clean the surface first. 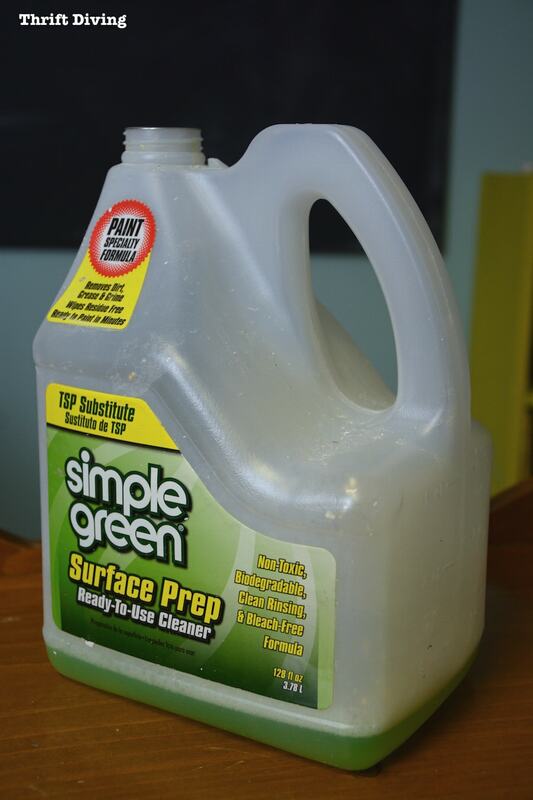 I always recommend using Simple Green as a degreaser. The Beyond Paint folks recommend using a roller with its paint to prevent brush strokes or roller marks. 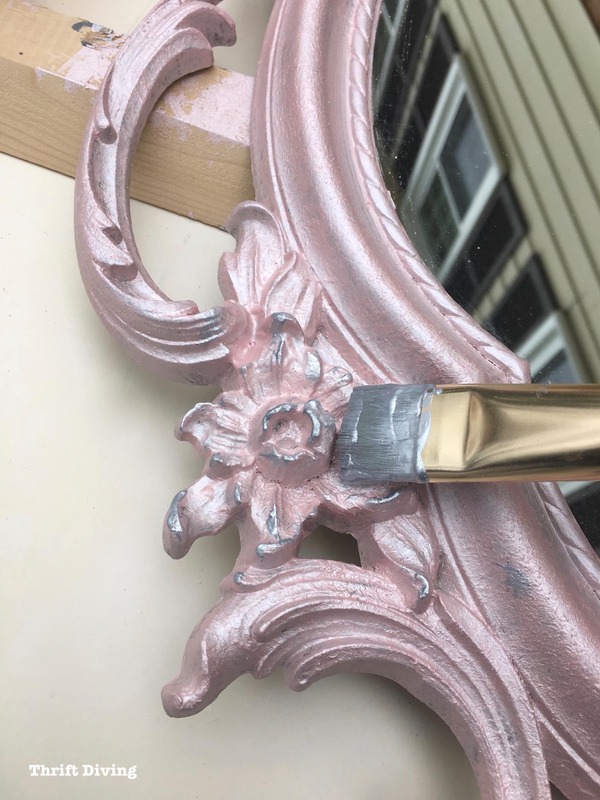 I started with the brush but realized that the roller worked better at applying the paint to the mirror. If your projects are in good condition, there isn’t any sanding or priming needed. 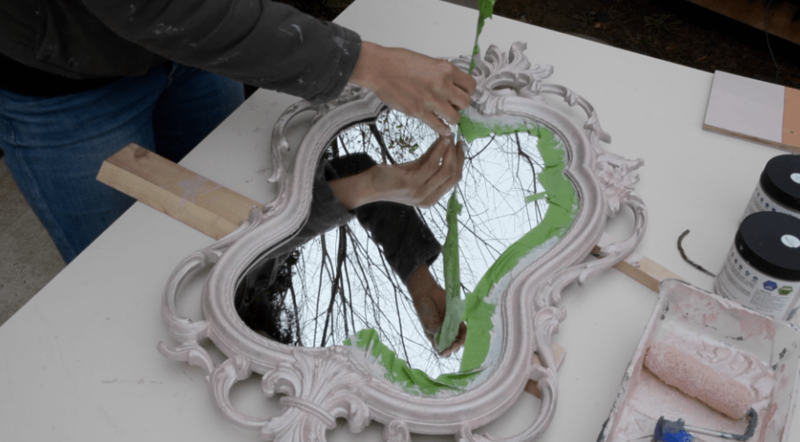 Just open the jar, pour into a tray, and start painting! You’ll notice the first coat looks a bit blotchy. That’s normal with most furniture paints. It will need two coats, so don’t worry. Just keep painting! Eventually, you’ll come to areas where you’ll need to get the paint into the little cracks and crevices. Simply take a brush and smush it in there. 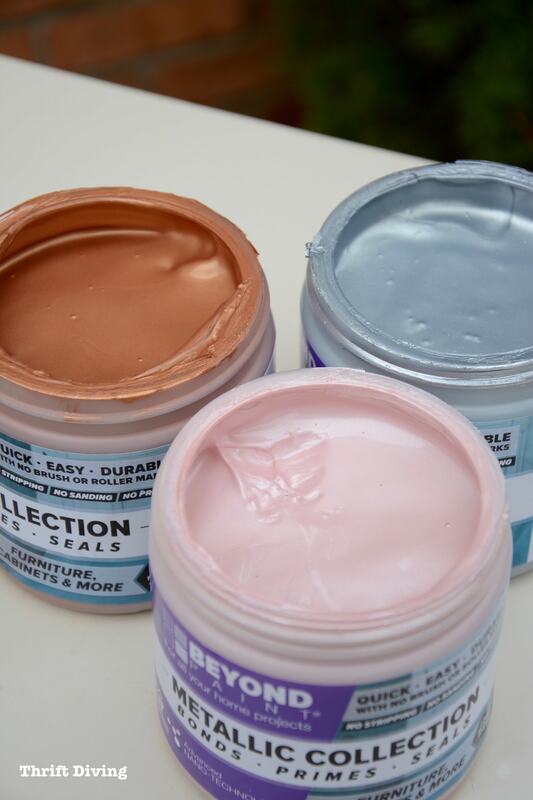 You’ll definitely need two coats, so let it dry thoroughly before applying the second coat. 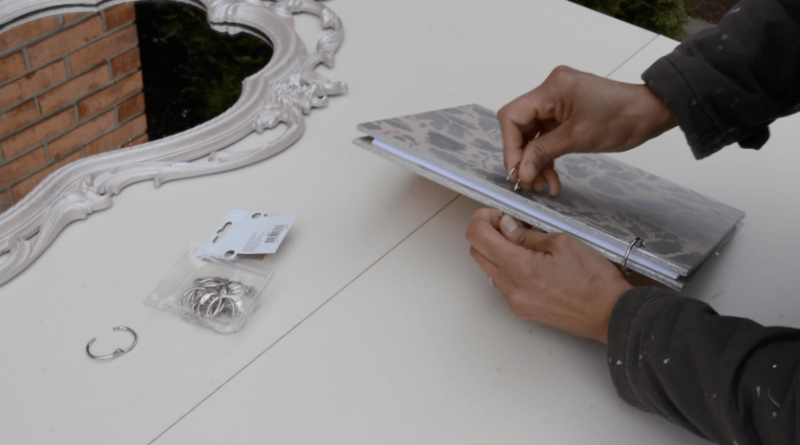 This was a good time for me to work on the DIY wooden journal (see below). I generally don’t wait for paint to dry before removing painter’s tape. I find it’s easy to remove when paint is still slightly damp. That’s what I did in this case, too. 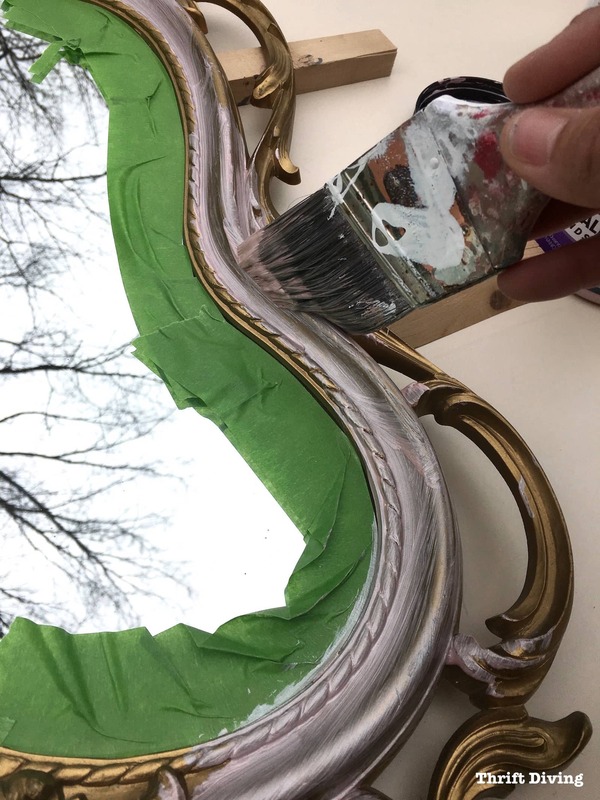 When the paint dries, however, it’s easier to go over the mirror with a small razor blade scraper to remove the paint. I actually didn’t think to do this until afterward, but I realized how beautiful the Rose Gold looked with the Metallic Silver. I decided to take a paint brush and create a highlighting around the edges with the Metallic Silver. 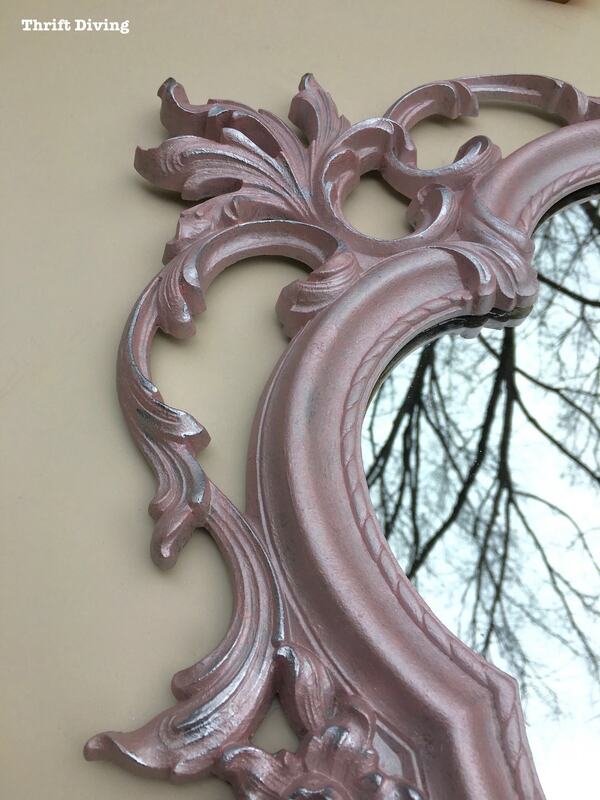 I like how in this picture you can see more of the pretty pinkish color! Some of the other pics look washed out. I slapped on a quick coat of Metallic Silver on the back. It didn’t take but a couple minutes to brush on a quick coat. I just had to be careful that the silver didn’t drip down the sides onto the Rose Gold. Afterward, I left it fully dry. I much prefer the painted ones because you can get so much more creative with it! (I gave my mom, niece, and nephew wooden journals for Christmas last year and they loved them!). 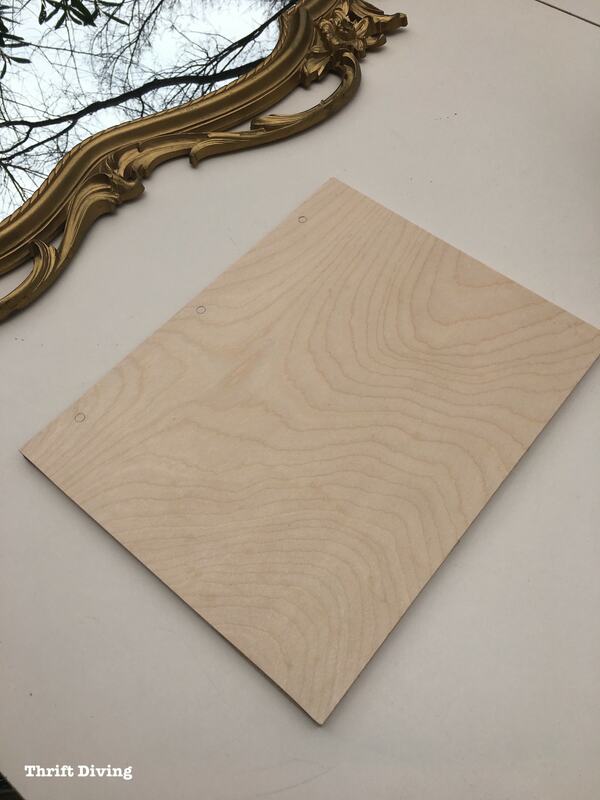 So click over to that post for instructions on cutting out the 1/4″ birch plywood with a jigsaw and drilling the holes for the binder rings. I just used a brush, but you can use a roller if you’d like. The paint looked smoother with a brush. I found that the metallic over-emphasized the texture when using a roller. I wanted a little texture, but not as much as there would have been with a roller. So the brush worked best on the DIY wooden journal. I have used my favorite stencil in soooo many projects, I think I’ve lost count! That’s because it’s beautiful and makes any painted project that much better! (Click here for more information about this floral stencil). 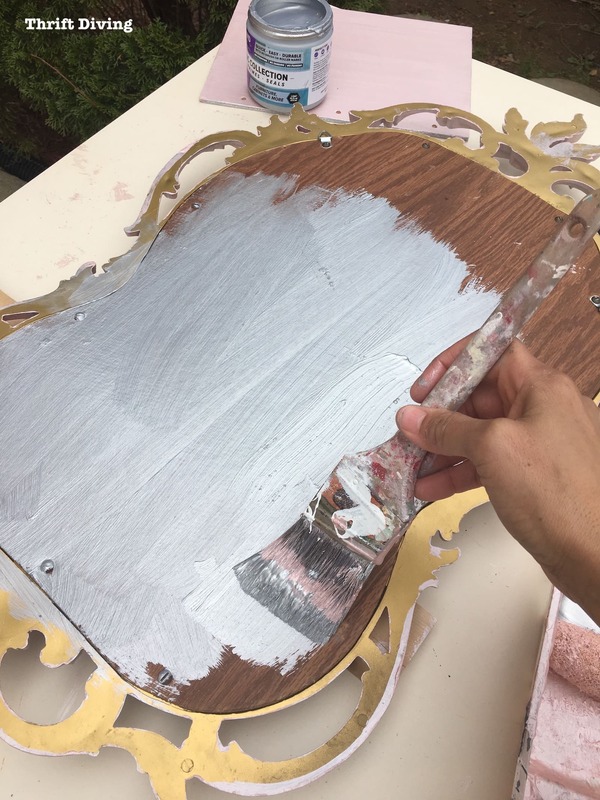 It’s best to use a stenciling brush or a foam brush for stenciling, but I didn’t have either, so I used a regular brush with the Metallic Silver paint. RESOURCE: Click here to read my post How to Use Stencils: A Complete Guide. I used a 3-hole punch to add some blank computer printer paper to the wooden journal, along with some of my project plans that I have laminated. Sometimes I forget exactly how I did a project or my notes on each project, so I wanted to create this cool wooden journal to keep track of it all! Beyond Paint paints are self-sealing and you don’t need a top coat in most cases. However, they do offer a sealer if you want to use it. I skipped the sealer and just left the wooden journal with the stenciled top. The shimmery Metallic Silver was the perfect complimentary touch! 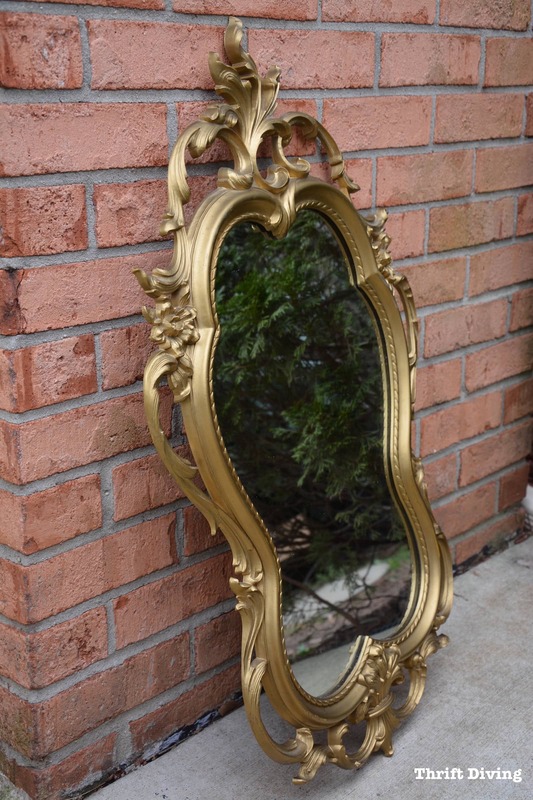 I’ve got this mirror hanging in my foyer! I would have taken a wider angle shot, but you seriously don’t want to see the rest of my foyer! LOL. It’s a mess! Do you love this post? 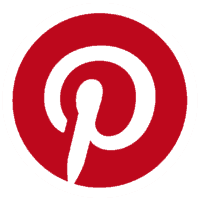 Click here to PIN IT! 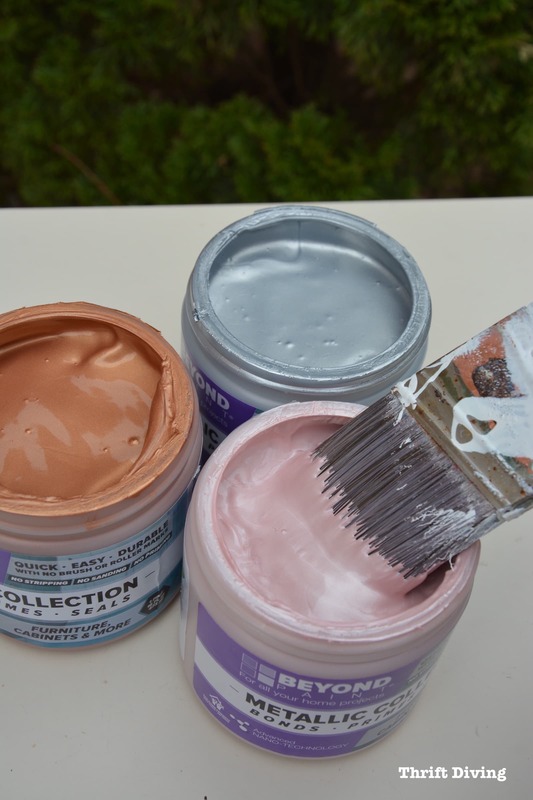 So do you love metallic paints? And if so, how do you use them in your crafting? Leave a comment below and let’s chat about it! 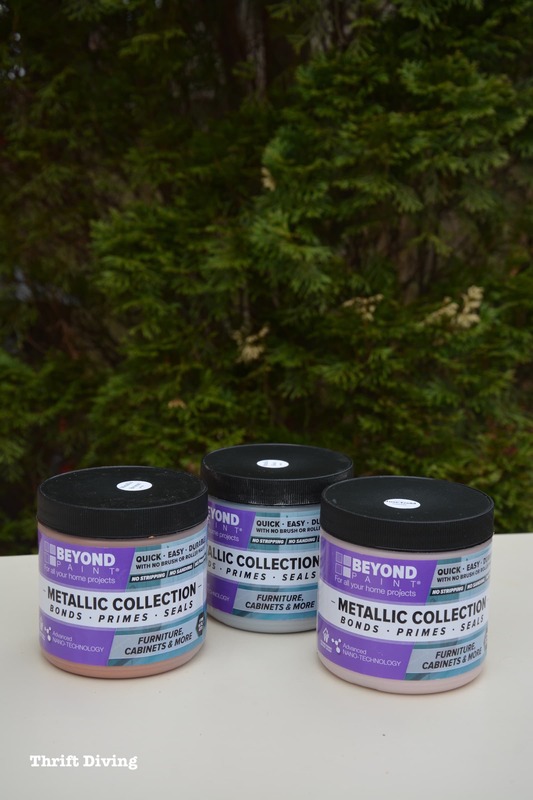 Be sure to head over to Beyond Paint to check out this fun new Metallic Collection! « Reader of the Month – Meet Teckla! 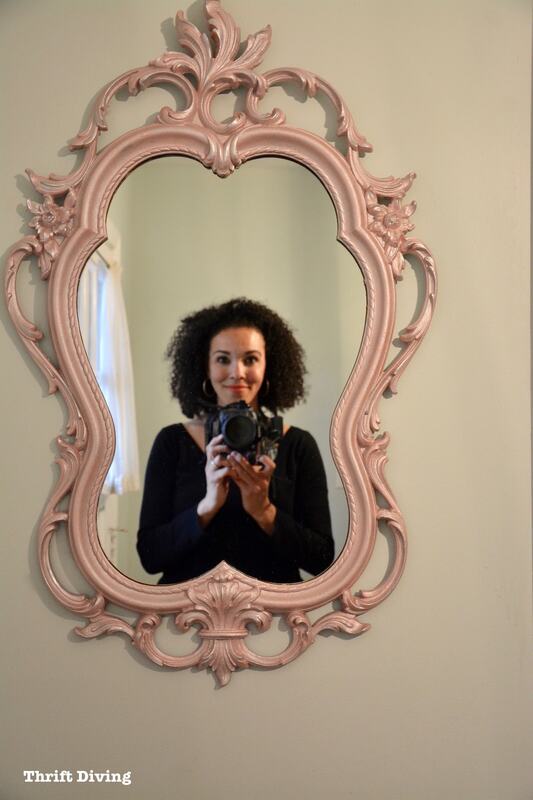 Serena, that mirror is perfect and I like your wooden notebook covers. What fun. NOW I know which product I’ll be using in my tiny bathroom makeover, especially for stenciling the side of my claw foot tub and maybe on the new itsy bitsy corner sink. Oh! 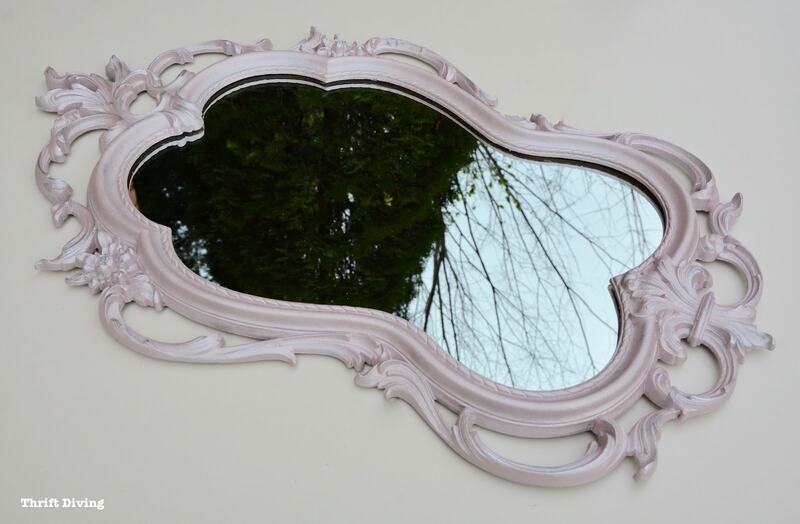 and maybe for the mirror above the sink, too. Can’t wait to get to that point in the reno. Going to their website, now. You sure are a you tube star, so natural and beautifully done. Both are wonderful projects look fantastic. I love stencil you used on small dresser drawers, think I might have to get that stencil, is gorgeous. 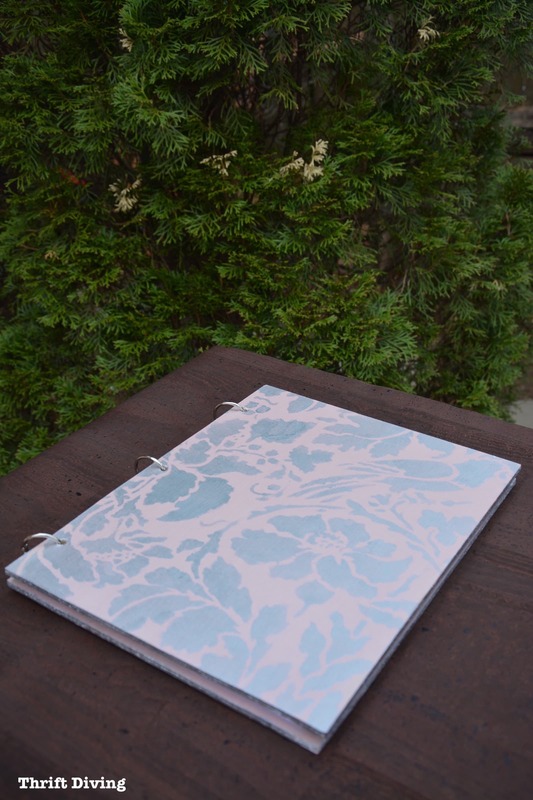 Love idea of journal you made, would like to make one for my crafty artistic grand daughter. Out of 5 grandkids is only one who is artistic and loves to do different crafts. She recently taught herself how to embroider and is inventing new stitches, patterns. Has been making herself some clothes also., she’s 17. Always enjoy your posts Serena, they are wonderful and delightful like you. Thanks for commenting and leaving such wonderful feedback! Makes me day! Serena you are a born YouTube star! Your video was fantastic even if Siri doesn’t understand! Love the colors and the accented silver you added to the blush. Great projects both of them. When you first said rose gold , I went “yuck”, but now, when I see it I’m like “WOW”! I love Beyond paint, and I have you to thank for it. 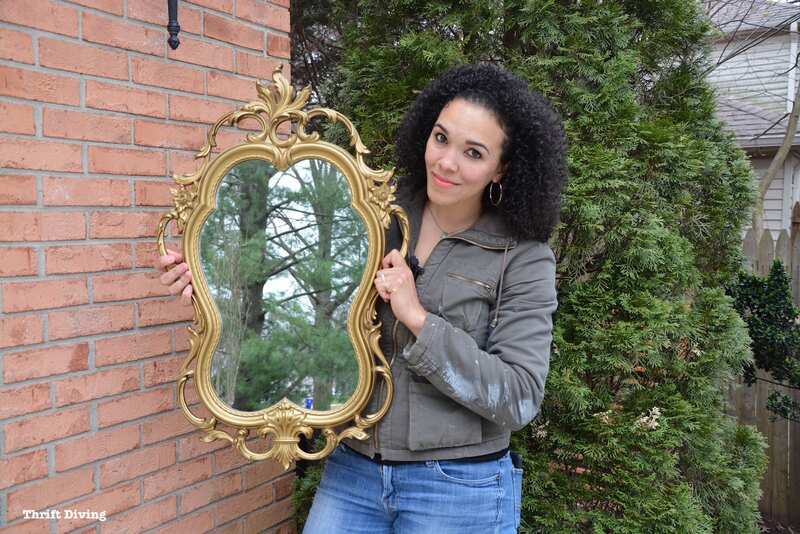 Now you have me wondering about my mother-in-law”s lovely, but old and gold wall mirror. Darn you Serena, I’m in the begining ( you know, all that planning and thinking and measuring and worrying) of putting in a wood floor in the dining room and maybe some simple wane coating. Stop putting these great ideas in my head! (Actually, please don’t ever stop.) Glad to see you at home and having fun. I agree with you…the Rose Gold & Silver combo look great! Such an improvement over the gold. I love it! Great projects that turned out lovely! I’m glad you’re doing some small, fun things after the bathroom marathon! I’m not so big on metallics, but I could go for the Rose Gold! Definitely will have to put that in the soup pot on the back burner and let it simmer for a while. I’m still looking for a picture frame to make a bulletin board above my desk area, so that might work, especially since pink is my favorite color and I don’t have to please anyone other than myself. Thanks for sharing with us! Can you give some more detail on your Portland trip? I’d like to figure out if I can meet up with you. Weather has a lot to do with it–I usually only drive locally after dark, and definitely not when it’s rainy, because of cataracts in both eyes. Eventually they’ll be removed, but that will be a while yet. It might be possible to stay overnight as I have a couple other matters I need to take care of if I can make it up there. Regardless, I’m sure you’ll love Portland and the Northwest!